It surprises some people that cats can suffer from stress. While they don't have to worry about bills or job performance, cats can become anxious, and it often affects their behavior. Negative habits like scratching or urinating inappropriately and fighting with other cats in the home are common ways that cats exhibit stress. What Causes Stress in Cats? A medical problem. This is the first thing that should be checked out whenever you suspect stress in your cat. Have a veterinarian look your kitty over and determine that he is physically fit before assuming that the problem is behavioral. Competition in the home for resources. This occurs when there are multiple cats in a home and not enough litter boxes, food and water bowls, beds, and scratching posts for them all to feel secure. Change in schedule of humans in the home. If someone who lives in the home is suddenly not there as much, the kitty can become upset and feel stressed. Loud noises occurring commonly in the house. Remodeling projects often really stress cats out. The same is true if there are a lot of parties or other consistent loud noises going on. A new person or animal added to the household. When a new person, baby, cat, or dog enters the family, the resident cat can become quite stressed. A person in the home is experiencing stress. Cats can be quite sensitive to the emotions of people in the household, especially those they're closest to. If you're feeling extremely stressed out, your cat might be taking on some of those feelings. Sometimes it isn't possible to identify a source of stress even though your cat is clearly showing signs that there is one. Cats emit pheromones from glands in their cheeks. They leave these pheromones on items when they rub their faces on them. These are calming chemicals that help other cats in the vicinity feel and behave more peacefully. Feliway is a substance that mimics those pheromones. Feliway comes in a spray or a diffuser, and it helps cats feel more peaceful and less stressed. How Can You Use Feliway to Decrease Your Cat's Stress? Provide more scratching posts, food and water bowls or fountains, cat beds, toys, and litter boxes. The less that cats feel they need to compete for resources, the lower the stress levels in your multi-cat home will be. Provide even more scratching posts. Scratching is a huge stress release for cats. It enables them to mark their territory as well as physically blow off steam. 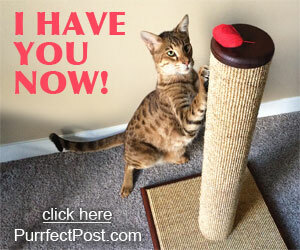 Add more good quality scratching posts to your home to provide extra stress relief for your cat. Give your cat a quiet room away from any construction or party noises that might be going on. If there is known commotion in your home, it can help to create a kitty safe room where your cat can hang out away from the hub-bub. Make sure there is adequate food, water, litter boxes, and cat beds in the room. You can even play soothing classical music to help calm your cat and drown out some of the noise. 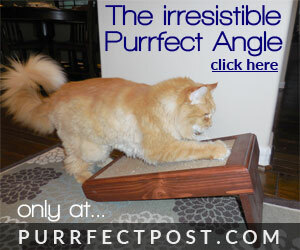 Use a Feliway diffuser in the room where you notice the problem behavior such as marking, scratching, or cat-fighting. This can help calm down the atmosphere in a space that might otherwise feel stressful to your cat. You can also place a diffuser in the room that your cat spends the majority of his time. Use Feliway spray to spray items that your cat might be inappropriate scratching or urinating on after you clean them well with enzymatic cleaner. Be sure your cat is getting lots of interactive play time. One of the ways cats blow off steam is through play. Pretending to be a predator that is hunting prey is great mental stimulation and stress release for cats. Set aside time each day to play with wand toys with your cat to help decrease his stress levels. Feliway now has a formulation that specifically mimics the pheromones a mother cat emits to calm her kittens. When diffused, Feliway Multicat is good at reducing aggression between cats in a multicat home. In fact, the company states that 84% of cat owners notice a big improvement in aggression between their cats after using Feliway Multicat for 30 days. Place a Feliway Multicat diffuser in areas where you notice your cats fighting, such as in rooms with food bowls, litter boxes, or anywhere else you see the behavior. Be sure the diffuser isn't blocked by furniture or near an open window. The diffuser will cover about 700 square feet of open space and won't travel between rooms, so you might need more than one depending on your situation. 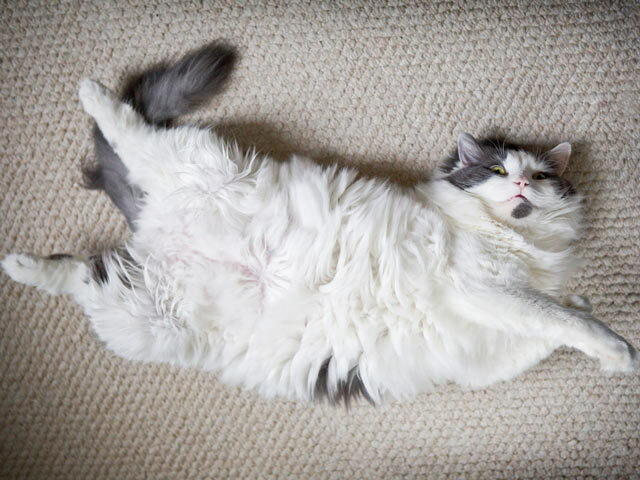 For more specific information on stress scratching as well as further tips for treating it, check out this article: "Is Your Cat a Stress Scratcher?"